Snakes are something that I will never want to see in or around my home. Even if I know that most species of snakes are non-venomous, but still the very sight of snakes give me goosebumps. And, I am sure this is the case with most of us. Most snakes have nothing to do with humans and that, they come out in the open in search of their food but while doing that, they at times come in or around your household and scare the hell out of you. Actually, they themselves get scared and in defense, they often attack humans which at times get deadly. Therefore, to avoid such situations, you can use snake repellents to repel them out of your home and gardens. And if you are not sure how then continue reading this post. As today I am sharing some easy and interesting tips on how to keep snakes out of your house and garden easily. So, if you are scared to face snakes and never want to see them in and around your home just like me, then this is the post worth reading. Dealing with cockroaches, especially when it’s badly infested in your kitchen and home is not going to be easy. But preventing cockroaches from entering your kitchen is way easier than eradicating. Today, I am sharing a few quick and easy hacks that’ll help you to prevent cockroaches from entering your kitchen easily. Cockroaches can eat practically anything left over and hence they are commonly found in the kitchen. Also, they love to dwell in dark, warm and moist places. Naturally, the kitchen is one of their favorite places to roam and breed freely. But we all know how terrifying the sight of cockroaches running here and there in your kitchen can be. It is nightmare to even think of cockroaches contaminating your foods, utensils, crockery and kitchen appliances. I mean it is very unhygienic as kitchen appliances are something, we regularly use to make food and so, if cockroaches’ dwell even near them, it can be really frustrating and disgusting. And, the tough part is you cannot even think of using harmful chemicals to prevent cockroaches in kitchen. As after all, it is your kitchen and using the harmful chemicals will increase the chances of you getting directly exposed to the chemicals. And if you are tired of cockroaches in the kitchen and want to get rid of it without using chemicals, then here’s the post worth checking. Today I am sharing the 9 best and easy to apply tips to prevent cockroaches from entering your kitchen and home. Apart from preventing cockroaches from entering your kitchen, you can also use these tips and idea to prevent roaches entry in other rooms as well. Kitchen is the heart of our home and all of us want to prevent cockroaches in the kitchen. Cockroaches are not just ugly and disgusting to look at, but they are also the carriers of germs. So the more efficiently we are able to prevent their entrance in the kitchen, the safer for us. And, if you are wondering about how to prevent cockroaches from entering in your kitchen, then continue reading the post as we discuss several natural tips and hacks to prevent cockroaches from entering your kitchen and home. And if you implement these hacks and ideas correctly, I am sure you will be able to get it right. Cockroaches in the kitchen is a serious concern so it is always better to take some preventive steps from early on rather than later thinking of ways on how to get rid of them after they have already made your kitchen their living space. In this respect, I have some amazing tips to share with you that will help you prevent cockroaches in kitchen much easily and effectively. Prevention is always better than the cure and that is true in case of cockroach prevention in the kitchen as well. It’s much easier to prevent cockroach from entering your kitchen in the beginning than getting rid of roaches once it is deeply infested. So, here is a list of natural tips and easy hacks to prevent cockroach from entering your kitchen. Take note of them and see how things go in your favor. Well, you know the dirtier your kitchen is, the more apt it will be for the cockroaches to feed, breed and thrive. After all, if they are getting so many spilled foods and grains, or food residues without struggling much, why will they not stay in such a place? But, the fact is, the more they feel comfortable staying in your kitchen; the more difficult it’s going to be for you to eradicate them. So, make it a habit to get rid of any food residue, food spills or leftover foods after you have completed your cooking. This is like mandatory if you want to prevent the cockroaches in your kitchen. You will have to eliminate all sources of food and keep your kitchen as clean as possible to keep the cockroaches away. Even, you should try to get rid of food stains and food odors; otherwise these can also attract the cockroaches and you may not be able to prevent cockroaches from entering your kitchen easily. See, kitchen cabinets are usually used to keep the kitchen appliances or store the non-perishable food items (by this, I mean to refer to those items which need not get refrigerated) or the spices we use while cooking or some other useful items. Now, most of the time when you are cooking, you will take out the item or the appliance you require, use it, clean it and then keep it back again inside the cabinet. But, obviously you may not thoroughly clean the cabinet daily. Well, this is OK to a certain extent as I understand that you run out of energy after so much cooking and cleaning and washing stuffs. But if you want to prevent cockroaches from entering your kitchen, then it is necessary for you to at least clean your kitchen cabinets once weekly or every alternate week. This is because, cockroach may be hiding in one of your kitchen cabinets and you may not be even aware of it. 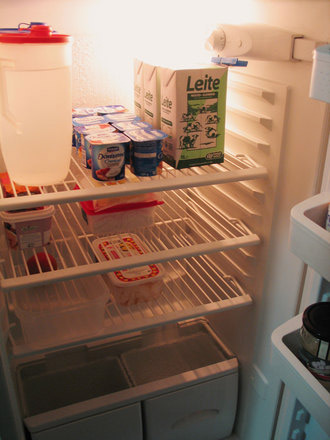 So, to avoid such a situation it is necessary that you take out all of the items from each of your kitchen cabinet and thoroughly clean the space every week or alternate week. By keeping the kitchen cabinets clean and clutter free, you will be able to eliminate a hiding place for the roaches and that helps in preventing them from entering your kitchen. See, when I tell you to keep your kitchen clean after finishing the cooking every single day, it also includes washing of all the utensils. For some it is very obvious and is a daily habit to clean the utensils immediately after cooking. But for many, that’s not the case and they often leave unwashed utensils overnight and hence the need to mention it separately. You know, many a times if you are working and have no time, you keep maid servants at home who come for washing clothes and cleaning and dusting your home etc. Now, the rest is fine, but when you keep the last night’s kitchen appliances or utensils to get washed by your maid the next day, then that is a bit risky because it may attract the pests like cockroaches inside your kitchen especially when you keep them in the sink. So, it is important that either you clean all of the used kitchen appliances and utensils immediately or keep them in a safer place (if possible), instead of keeping it in the kitchen sink. Any kitchen full of clutter is like an ideal place for the cockroaches to live. And why not, amidst all of the clutter, you will never find where they are hiding. 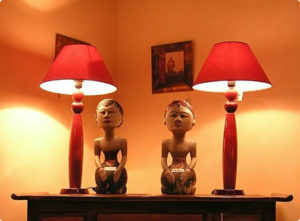 So, one of the best remedies to prevent cockroaches from entering your kitchen is to get rid of all the unnecessary stuffs from your kitchen starting from old stacks of newspaper to unused cardboard boxes, plastic bags, old crockery and glassware to all other forms of clutter. 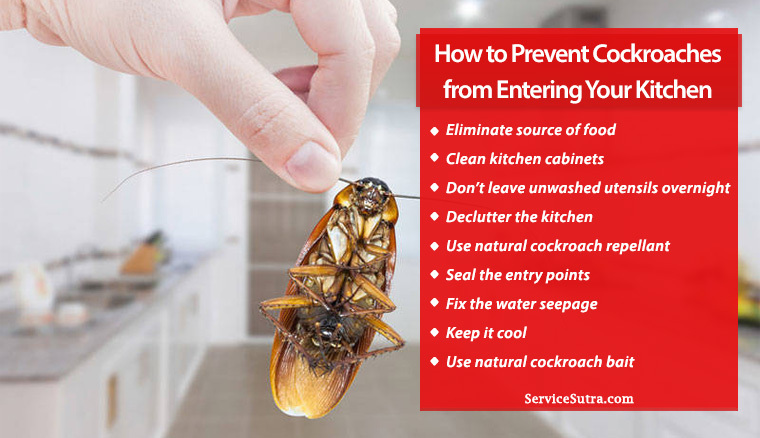 This will also benefit in easy cleaning of your kitchen on a daily basis as well as will help you locate if by chance any cockroach is hiding and then get rid of it as early as possible. Getting rid of even a single cockroach just when you locate it is necessary as cockroaches’ releases aggregation pheromone in their droppings which acts as a signal for the other cockroaches. This works like an indication that one of their friends has found a safe harborage for all of them. And eventually, they all gather in that space to feed and thrive. Hence, better not take chances and kill or drive away any cockroach from your kitchen as soon as you see it. Well, kitchen is a very sensitive place of the home and you just can’t use the commercially found insect killers to prevent the cockroaches from coming to your kitchen as they themselves contain harmful chemicals which may cause harm to you and your family members. That is why I would suggest you to use natural cockroach repellants to keep your home especially your kitchen safe from getting contaminated by the cockroaches. Well, you may use some elements like lemon juice or bay leaves to prevent cockroaches. This is because the smell of these natural ingredients repels the roaches and they prefer staying away from places where such odors are lingering around. So, you can use these very safe and natural cockroach repellants to keep the cockroaches at bay in your kitchen. One of the other effective remedies to prevent cockroaches from entering your kitchen is to seal up all of the entry points. This is really necessary as the cockroaches can crawl through even the tiniest of spaces. So if there are cracks and holes in any part of your kitchen, it is high time to track them and get it sealed properly to prevent entry of roaches. Make sure you carefully survey between the countertops, inside your pantry, in the baseboard and also do not miss out examining your kitchen wall and window. Well, I know that the task is not easy and that it is definitely time-consuming but if you live in an apartment and have neighbors who fail in the cleanliness department then you need to do your job even better. And, if you take honest efforts on your part, then at the end you are going to be benefitted. I have already said that cockroaches love moist spaces and so in order to prevent cockroaches from entering your kitchen; you need to keep your kitchen as dry as possible. To get it right, you need fix the water leakage and seepage, if any. Cockroaches can leave without food for months but they can hardly sustain for days without water and that is why they are often found scurrying underneath your sink. So, you got to take advantage of this weakness of theirs and fix your water leakage and seepage as well as not let water stand anywhere in or near the kitchen. It is also advisable that you do not overwater your indoor plants, because that may also result in seepage and moist space. The cockroaches also prefer a little warmer environment, so your aim should be to keep your space as cool as possible. See, when you cook, the temperature in the kitchen automatically rise which becomes favorable for the cockroaches to thrive. But if you can cool down the temperature after completing your cooking, it will help you a lot in preventing the entry of the cockroaches inside your kitchen. Well, it is not possible to control the outside temperature but you can always use a cooler or an air conditioner to keep the overall temperature in your home cool. While you try out the above-mentioned remedies to prevent cockroaches in kitchen, you can also make and use cockroach bait, naturally. 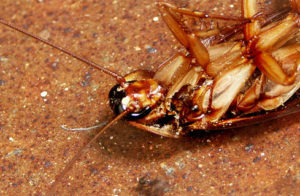 Making natural cockroach bait is easy and it’ll help you tackle any cockroach which has crossed the borders and entered your kitchen territory. To make the cockroach bait, all you need is one part of powdered sugar mixed with three parts of boric acid. This is great bait as the sugar will lure them and once, they get lured; the boric acid will kill them. However, you yourself got to be a little careful with the boric acid. Although it is not that toxic to humans or to pets, still try to keep it in a space where your fingers and nose won’t reach easily. Anyways, make sure you sprinkle this bait behind the stove, refrigerator, dishwasher, inside the cracks etc. Over to you: Which is your favorite hack to prevent cockroaches in kitchen? For me, my kitchen is the holiest place and I can’t bear the sight of seeing cockroaches in my kitchen. But, sadly these creepy pests love to stay with the humans and the dark, moist warm temperature of the kitchens give them the ideal conditions to thrive. Cockroaches are not just disgusting to look at but are often the bearer of germs. So if they stay around you, it is not much good for you and your family members. Hence, the faster you drive them away, the safer it will be for you. Now, when cockroaches enter your kitchen or home, you have no other option rather than trying out ways to kill them or get rid of them. But we all know that prevention is always better than cure. So, in this case as well, it is advisable that you try out means to prevent cockroaches from entering your kitchen rather than thinking of how to drive them away, once they have already infested the space. I know how irritating the cockroaches are and so I have already shared with you 9 very easy and promising hacks to prevent cockroaches from entering your kitchen. If you follow these tips and hacks correctly, I am pretty sure that you will be able to avoid their entry inside your kitchen to a great extent. And, even if one or two has managed to sneak their way inside your kitchen, your natural cockroach baits will hopefully serve your purpose by killing them. But if you are too occupied and busy to implement these tricks and ideas to prevent cockroaches from entering your home, then you may like to take help from the professional pest control companies. Professional pest exterminators can get rid of cockroaches and other pests and bugs easily. And if you are wondering where to find expert pest control companies then you can use ServiceSutra to quickly check rates for cockroach removal services and hire a professional pest exterminator easily and for free. What efforts are you putting in by the way to prevent cockroaches from entering your kitchen? Do let me know your hacks and ideas to get rid of cockroaches. And finally, if you like this post, keep supporting by liking, commenting and sharing the posts with others. Until then, stay clean and keep your kitchen cockroach free. One of the biggest mistakes of evolution so far is winged cockroaches. According to researchers, cockroaches had been walking the Earth since the age of dinosaurs. Some of the fossils even indicate their existence even before the Jurassic Era! As disgusting as these pests are, they can survive without food for up to a month and without its head for up to a week! Not only can they fly but also move at a speed of 3 miles per hour. Amazing, right? But we seriously hate these roaches and we don’t want to see it around. And if that’s the case and you want to get rid of cockroaches, then read on this post. Today, I am going to share with you the super list of 19 best ways to kill cockroaches easily. You can use tricks and hacks to eliminate these nasty roaches from your home, office pantry, wardrobes, kitchen cabinets and everywhere else. Relocation can be a really messy task, especially moving home appliances and heavy weight furniture. The home and kitchen appliances are an integral part of every household. Can’t imagine living comfortably without appliances and furniture. Naturally when you are relocating to a different home or city, you have to pack and move home appliances and furniture along with other domestic items.